Murphy’s work is a very thorough treatment (in spite of the whimsical title) of the use of symbols and archetypes going all the way back to caveman days. This book reveals the nature of the so-called “mystery schools” of which there were around 600 in the ancient Roman Empire. The original Christianity, the Gnostic Christians, appears to have been of this same model. The mystery schools were exclusive, multi-leveled programs, and overloaded with symbolism and numerology. Murphy shows that the symbols and the numerology of Christianity and indeed probably all of the mystery schools can be traced back to early astrological influences, especially the annual motion of the sun. If you want to know why and how we came to our current state of religiosity, Murphy will take you on that full journey. I highly recommend Murphy’s book. It reads a bit like a doctoral thesis in places but in every case where Murphy goes to the trouble to lay down an extensive basis for an argument, there is substantial pay off. The book deals heavily with the creation of Christianity in its various forms and the historicity (or lack thereof) of Christ himself. This is one I recommend if you are especially interested in the possibilities of how the Christian cult began specifically. A theory as presented by Atwill not only explores reconciling the facts that modern Christianity ignores, it implies why those facts are so embarrassing to the church today. The theory is that all the gospels are derived from a source that was practically a symbolic autobiography of Vespasian and Titus Flavius and their military campaign against the Jewish uprisings. 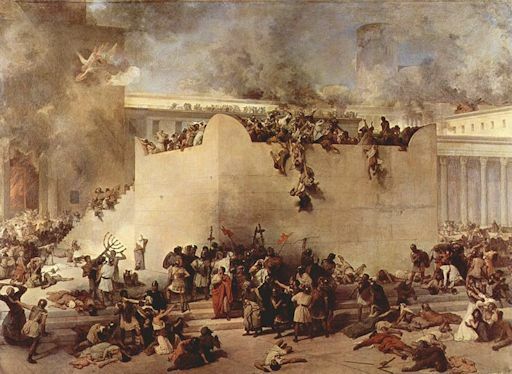 It was purposely written so as to undercut further messianic uprisings by suggesting a Jewish messiah had already come and gone a generation earlier, and that he was a peaceful tax payer. On top of that, to those in the emperor’s close elite circle the legend of Jesus served as a cruel tongue-in-cheek satire by closely paralleling the events of the war as recorded by the famous ancient historian Josephus. Thus the New Testament worships a Jew who strongly symbolizes none other than Caesar Titus Flavius, conqueror of Judea. Atwill’s theory makes me consider that the source document that served as a template for the gospels may well have been written by Titus himself. He was extremely literate and well educated. Simply pre-dating the document by about forty years is all that’s needed to allow Jesus to predict events contemporary to the document’s publication. That would also explain why there are no independent sources documenting the existence of Jesus prior to the Jewish uprising decades after his alleged crucifixion. When Christians are asked for evidence, beyond mere faith, of the existence of a historical Jesus, they invariably, naturally, point to Josephus. But Josephus actually lived in Titus Flavius’ palace and collaborated with him on writings overtly. Atwill’s book will expose the reader to the details of the writings of Josephus. Caesar Titus Flavius reportedly approved Josephus’ original copy of “The War of the Jews” and paid for its publication, promotion, and distribution. That’s only natural because the book chronicles the campaign in Judea by the Flavian commanders, Titus and his father, Vespasian. As explained by Atwill, and ignored by Christianity, each and every major event of that 66 to 73 CE military campaign occurs at the same locations and in the same sequence as the ministry of Jesus in the New Testament. Furthermore, each individual event of the campaign, and the ministry in the Bible, contains language, names, iconography, and symbolism in parallel, as read in Josephus’ own words. Atwill presents fascinating peculiarities. For instance, all of the women in the legend of Jesus’ life are named “Mary” which is also the well-documented Roman soldiers’ generic name for any Jewish woman involved with the rebellion. And here’s the strange thing, there are only two examples in all of history of a Jewish family with two sisters being given the same name. Both examples are in the New Testament and all four of those women are technically named Mary. For instance, there is a Martha and her sister Mary, but “Martha” is the Aramaic cognate of “Mary.” This is akin to a Mexican family having one son named Juan, and another named John. The Flavian family connection goes on and on. Simon and John were the names of the actual leaders of the Jewish rebellion that the Flavians eventually put down when they captured Jerusalem (the tactical details of the city’s fall was predicted by Jesus). The real life fate of each man following their capture, at the hands of Titus Flavius, very precisely parallels the conversations Jesus has with the two disciples with those same names at the end of his ministry forty years earlier. 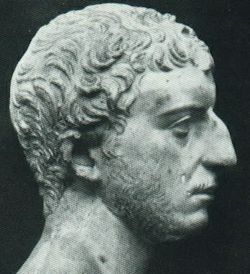 Simon (in real life) was taken to Rome and executed following his capture by Flavius, after allegedly abdicating his position as leader of Christianity to a linage of popes. John (in real life) was put in prison and forced to help the Flavians produce anti-rebellion (pro-Christian) literature. By the way, the first pope (Clemens) was a member of the Flavian family. The oldest known Christian cemetery in the world was built by a Flavian and is full of them, etc. Atwill’s claims are numerous and some of them are straight forward, but many are rather convoluted. For some of the claims “convoluted” is an understatement. Generally, the more complex a system is, the more fertile it is for finding patterns. Add to that a smidgen of confirmation bias and you have a recipe for wild conspiracy theories. Still, there is a mountain of evidence for Atwill’s fundamental base claim of somehow associating the Flavian dynasty with the creation of Christianity. Trying to refute and apologize for all of it requires so much faith that doing so can seem comical to a non-believer, as I’m sure the early church realized. I’m not knowledgeable enough on the subject to rule whether all of Atwill’s conclusions are warranted or not, but I was very entertained by all of them. 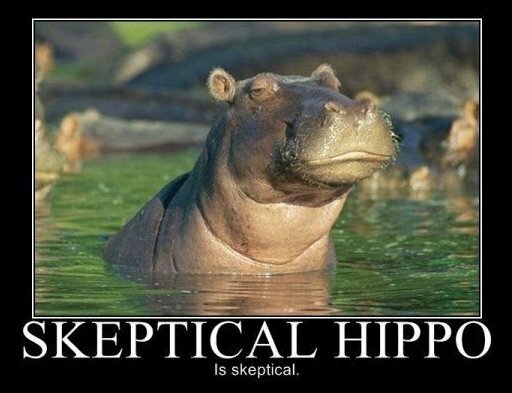 I think most anyone with a predisposition for biblical skepticism will be also. One fact I find most convincing is that there appears to be no such thing as documenting pre-Flavian Christianity. In all the volumes of documents and artifacts and relics from that seventy year gap between the birth of Christ and the Jewish rebellion, there is absolutely nothing Christian. If that really is true then it is certain that Christianity was started in Rome, by Romans, for a political purpose. The Jews themselves have always claimed this to be the case. Adding fuel to that fire, it wasn’t even the first time the Flavians had created, sponsored, and promoted a religion for political gain during their reign. I’ll leave the rest of Atwill’s mountain for you to climb on your own and you can judge his theories for yourself. But I will say this about it. 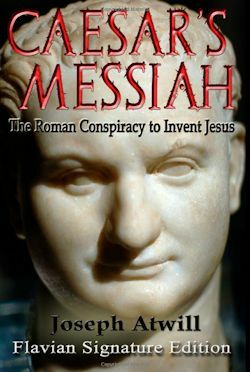 The rationale presented in this book does have some success represented Emperor Vespasian symbolically as “God the Father” in the New Testament. Titus is “Christ the Son.” And if this is so, then to some extent those men must have wanted their authorship to be eventually found out and made part of their legacy. 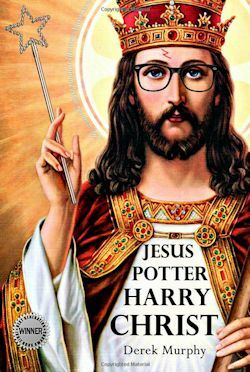 And finally, if you want an easy to understand list of the raw facts that call the historicity of Jesus into question, or if you want to know why anyone, if not everyone, should have any doubt that Jesus Christ was never more than a fictional figure with symbolic relevance to an ancient mystery cult. 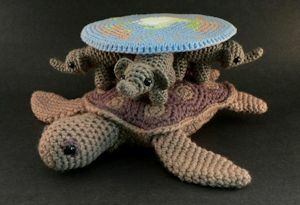 Then this is the document you absolutely must print out, read, and leave on your coffee table for the kids to find. In this on-line essay, Fitzgerald summarizes all of the deeply rooted and serious problems with having historical Jesus be your default position. 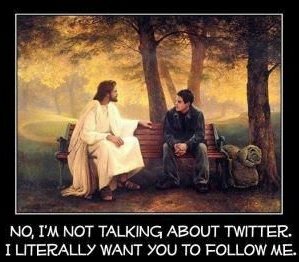 Even the existence of a merely human Jesus is suspicious through the prism of facts we have available today. In my opinion, after reading Fitzgerald’s article, only the purest of blind faith in a god who works in the most absolutely incredibly confusedly irrationally mysterious ways will allow you to generate a theory that defaults to the axiom of an actual historical Jesus. But that’s religion for you. This blog is one of a few high quality ones I reqularly read. This is good stuff, indeed! I would wholeheartedly agree, @blindpew! Love Brad’s insightful, meaty posts.